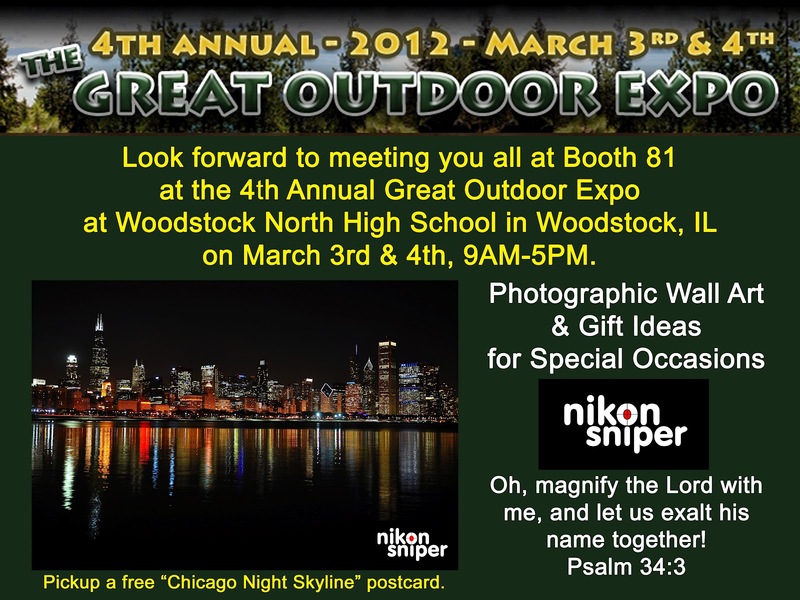 Thank you so much for all of your interest and purchases at the Great Outdoor Show in Woodstock, IL. What a thrill it was to meet and talk with so many of you this past weekend. I look forward to doing this event again next year. Also, do not hesitate to contact me for any reason. I would be happy to help with any problems you are having in photography. I love taking sport photographs and am looking for new opportunitites to expand my photograph library (dogs, hunting, fishing). If you have a unique event coming up that you would like to have photographed, I will try to provide you photos at no cost to you. If you take me out on your boat ... you don't have to worry about me hoggin' the bait because I fish and hunt with a camera only! HA! It's just safer that way. Please tell your friends about this blog. 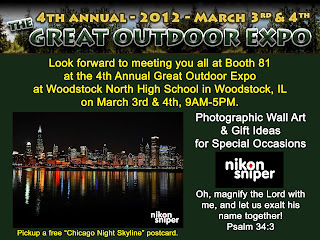 Direct your email to nikonsniperguy@aol.com or call 815-345-1462.